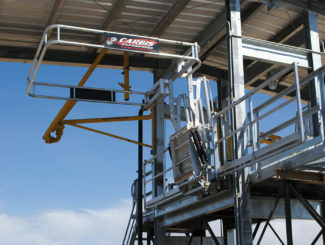 Built to Increase Efficiency. 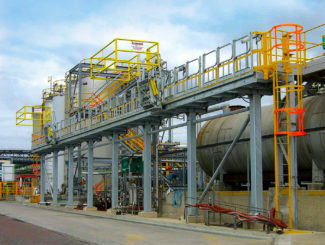 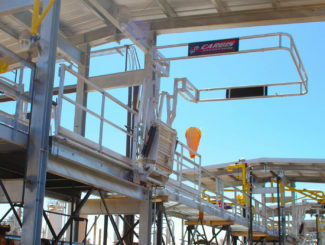 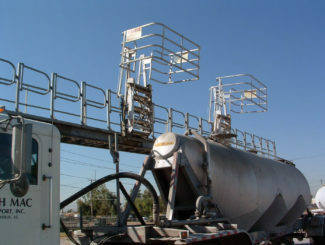 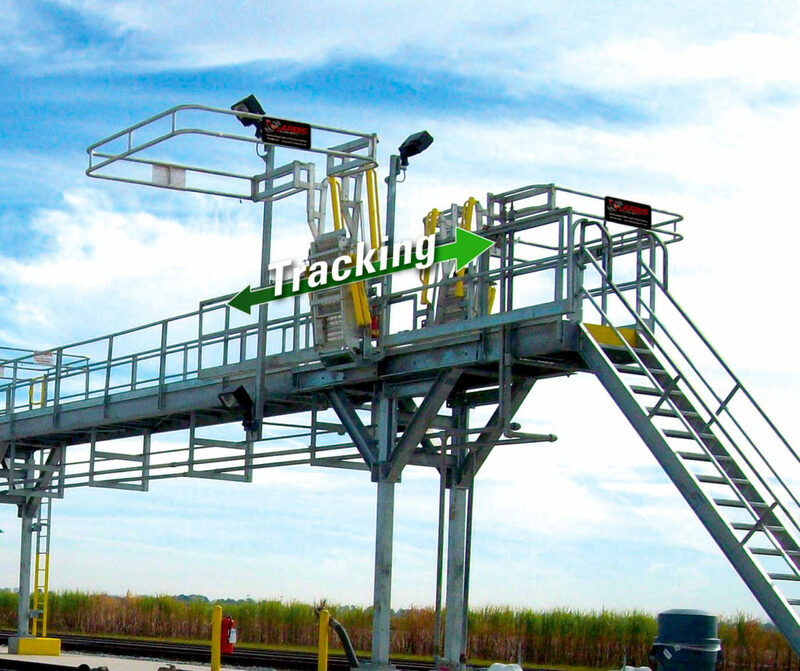 Our track-mounted gangways move horizontally along a steel track, allowing safe access to locations on top of your trucks and railcars.. A tracking gangway is ideal when there is variation in lengths of vehicles and/or hatch openings that must be accessed. 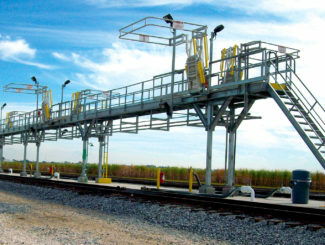 For even greater access, multiple gangways can be used on the same track to allow spotting at numerous rail cars at once. 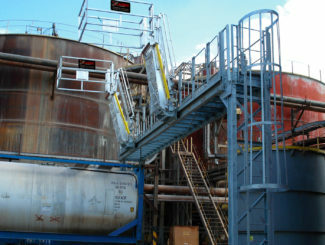 Swing gates along unused areas of the platform to ensure worker safety. 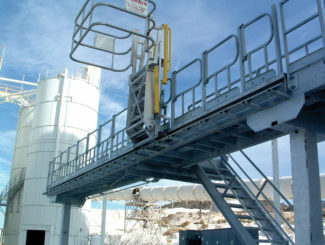 Flexible access options. 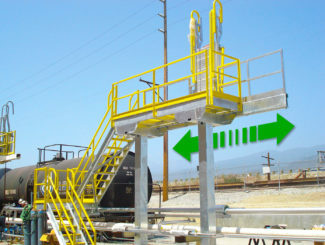 Swing gates along unused areas of the platform to ensure worker safety. 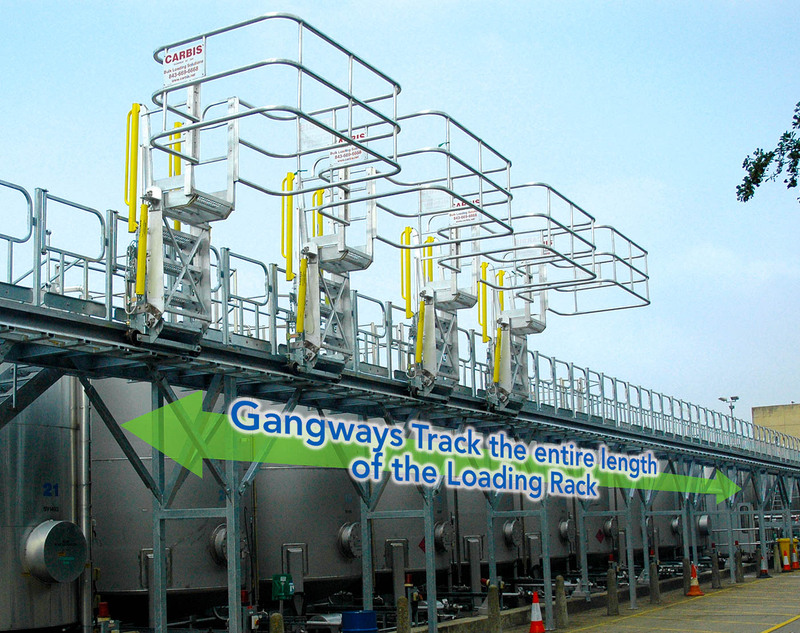 Variable gangway lengths and widths to suit your application.